Thomas Campbell is a professional golfer from New Zealand, now based in Minneapolis. Campbell, 28, is a former University of Minnesota Men’s Golf Team standout player who now competes on various mini-tours across the country. During the summer, he’s mostly on the (National Golf Association) NGA Tour and The Dakotas Tour. Campbell had a nice season last year (He’s fully exempt for 2014 on the NGA and Dakotas.) 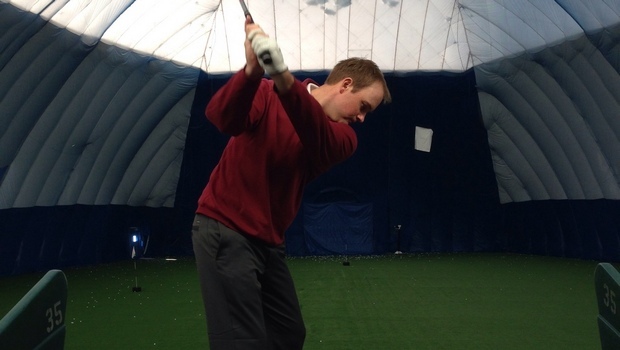 and will be blogging regularly about getting better to achieve his ultimate goal of making the PGA Tour. Over the last couple of weeks, I was down in Orlando, Fla., practicing and playing. I worked out at The Marriott Golf Academy (formerly the Faldo Golf Institute), where I had a weekly unlimited-play and practice pass. 8-9:30 a.m., workout (cardio or strength training). 11 a.m.-noon, chipping and pitching. I competed down in New Smyrna Beach, Fla., at the end of my trip down in the state in The Indian River Open, which was run by The Florida Professional Golf Tour. Getting back into competition mode was a great opportunity for me to analyze where my game is at transitioning from the diving range to the golf course. My ball striking was great. After not competing since the end of October last year, I was really happy with my game from tee to green. However, I really struggled on the greens. They were slow, soft, bumpy and grainy; and my focus just wasn’t quite there mentally to adjust to the conditions when my reads were not going well for me. In the first round, I had an earlier tee time, so I was fortunate to putt on better greens than the afternoon field. I got off to a great start to the event. I was 5-under through the first 10 holes and feeling confident. I ended up two-putting every green on the last eight holes to end up shooting a 6-under 66. If I was asked before I teed off for my first event of the year if I’d be happy with a 66, I would said definitely. But I left so many shots out on the course. In my second round, I was in the second-to-last group off the afternoon. Once again I just couldn’t get the putts to drop. I was 1-under through 10 holes, with my only birdie a two-putt from 10 feet for eagle. Then I missed a couple of greens; and after hitting great bunker shots to four feet, I didn’t convert. I ended up shooting 73. Although frustrated that I didn’t do better, I had to remind myself that this was my first event back after a long break from competition. I ended up tied for 27th out of 130 players, earned a check and provided myself with some rounds to analyze going forward in preparation for the rest of the season. As I mentioned at the begging of this blog I have been transitioning from technique mode to play mode in my practice sessions. Technique Mode is pretty self explanatory and is where you work on improving your technique through the use of drills, or swing changes for long term success. You can’t be thinking about your technique when you play on the golf course or it will only set you up for failure. It is OK to have a single-swing thought, but more than that, it directs your focus away from what is most important — the target. Play mode is about hitting those shots, and winning.